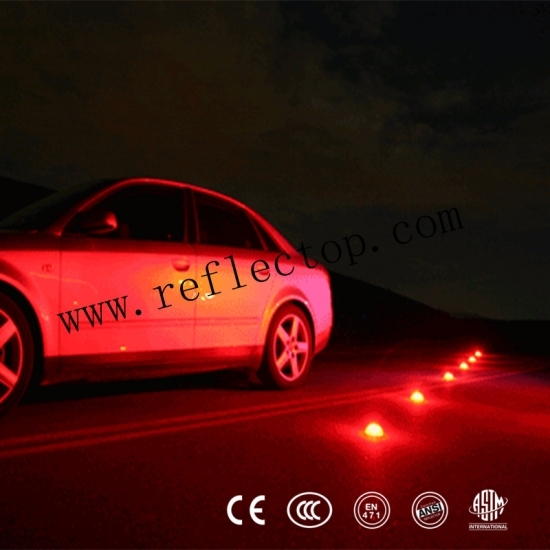 Led Road Flare contain one high-capacity CR123A battery. 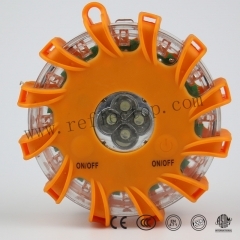 The high-capacity CR123A battery offers Led Emergency Safety Flare Lights a super long life time, which is up to 90 hour responsible. The CR123A offers a super long standby time, which could last for over 6 month. It is also quite simple to replace when the battery runs out. 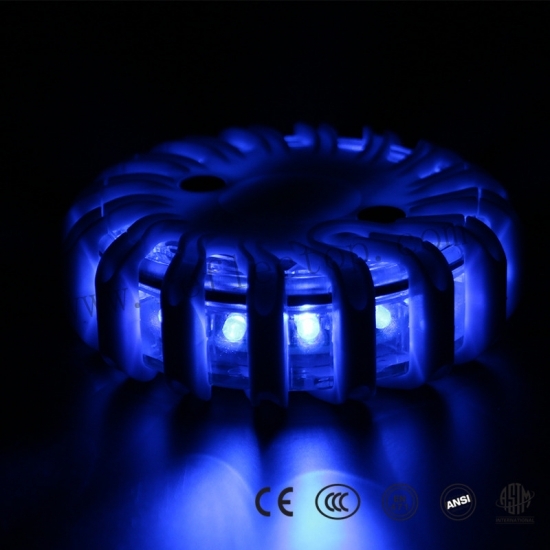 The 9 in 1 led working light which is designed to be a much attractive shell. 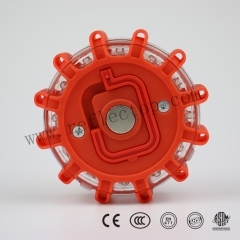 Round shape shell also contributes to a 360o degree visible design, which is the very basic function of a warning light. No matter what angle to see, we will guarantee to maintain further than 1 mile visible distance. 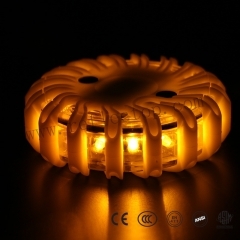 The 9 in 1 LED Warning Flare is also in a super stable and strong construction. 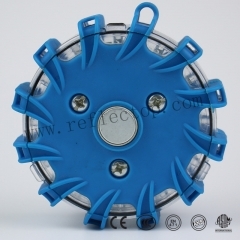 In order to sustain in tough environment condition, we put huge effort on the shell construction design. 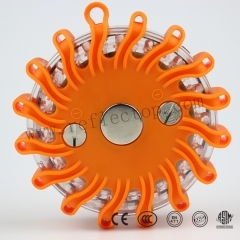 First of all, the shell is designed as crush resistance. It shall even sustain from trucks grinding. Not only sustain from grinding, but also the flare could sustain from high drop and heavy crush. Secondly, the Flare is responsible for water proof, which is on the stand of IPX6. In our performance test, the flare can stay under half meter water for over 3 days. 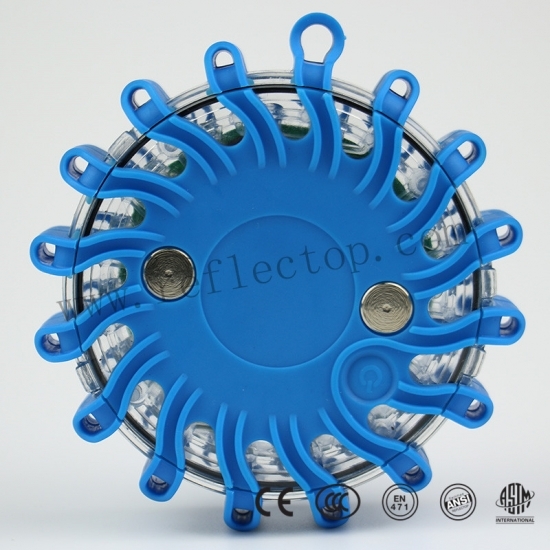 Moreover, the flare is also floating design. 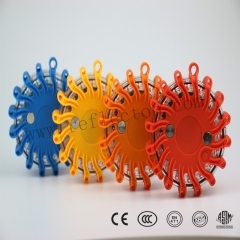 Hence, it is suitable for rainy or flood environment. Even, it could be used for notification on river and sea. 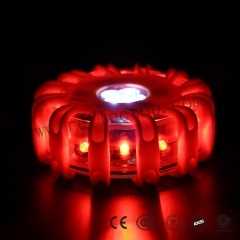 The 9 in 1 LED Warning Flare also contain a super strong magnet on its back. The magnet provides flare a much broad use. Stick on cars and trucks becomes feasible. 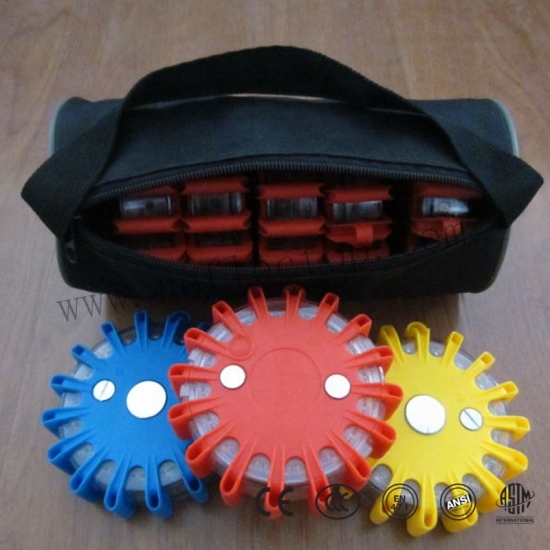 By using our Road Cones Set, Flare can be easily fastened on to the road cones. For any placement, flare could be easily removed without any trail. 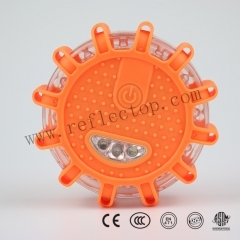 3.16 LEDs and 360o visibility with over 1 mile visible distance. 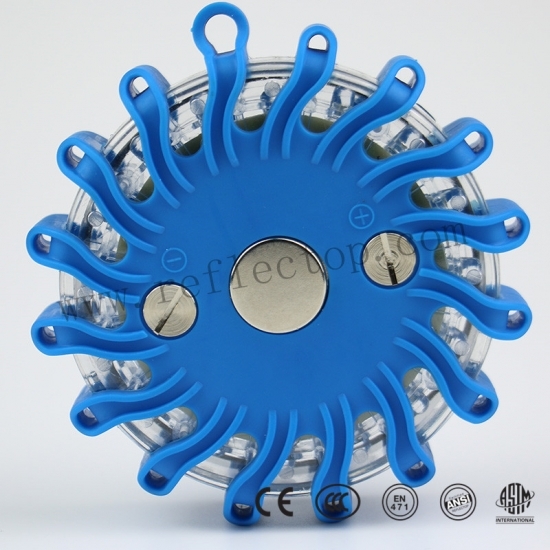 4.Design: Water proof,Crush resistant and floating.